BRFL is a vertically integrated textile company, engaged in the manufacture of a wide range of fabrics and garments from state of the art production facilities. Established in 1986, BRFL is on the verge of completing 25 glorious years in the Industry. The journey of our organization has been dynamic. When one visionary man set out, on his mission to fulfill his dream of the perfect fabric for the world, his passion gave birth to an enterprise called Bombay Rayon. 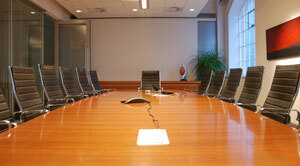 BRFL Team is a blend of some of the finest executives in the Board of Directors. Their association and passion for BRFL have been phenomenal for the company’s revolutionary success. Since its inception almost 25 years ago, BRFL has grown manifold. We dedicate and share our journey to success with the people within our organization. BRFL has expanded its working internationally, with active tie ups, subsidiaries, especially in European region like Netherlands, Italy and UK. BRFL is a vertically integrated textile company, engaged in the manufacture of a wide range of fabrics and garments from state of the art production facilities. Apart from being the largest Shirt manufacturer in India, we have successfully evolved into a multi-fiber manufacturing company producing fabrics such as Cotton, Polyester, Tencel, Modal, Lycra, Wool and various blends. Our yarn dyed fabric, printing techniques, finishing, processing, weaving, stitching are a mark of excellence making every piece of fabric perfect. With fabric manufacturing facilities of 100 million meters per annum, garment manufacturing facilities of 60 million pieces per annum, being expanded to 90 million pieces per annum and a strong employee base of around 38,000; BRFL is today one of the most sought after brands in the Indian as well as International fashion markets. Clothing is one of the strongest human desires. A desire to be different. A desire to look beautiful. A desire to be comfortable. A desire to make a statement. A desire that is fulfilled by that perfect piece of fabric called 'BRFL'. Woven with passion, our fabrics speak a story of novelty. BRFL has grown phenomenally and the reason has been our customers. Inspired towards betterment, we now possess the entire knowhow and technology for yarn dyeing, fabric weaving, processing and garment manufacturing. BRFL is one of India’s most dynamic and professionally managed textile groups. No wonder, we are well renowned in the fashion export industry worldwide. With over 200 million meters per annum of fabric manufacturing facilities and over 45 million pieces per annum of garment manufacturing facilities, BRFL is a rapidly growing textile company with over 32,000 employees. At BRFL, we aim to become exclusive and efficient with the newest designs and consistent fabric quality. Our goal is to provide the shortest turn-around time in production and supply. We strive towards better employee work culture, 100% customer satisfaction and stronger supplier and stakeholder relations. Our vision is to become an all-inclusive Global Fashion Apparel Brand, catering to the ever- changing fashion industry of direct retail customers and create long term associations with transparent business offerings. 1986 Mr. Janardhan Agrawal establishes the Bombay Rayon Group. 1990 Maharashtra gets its first fabric manufacturing facility. 1998 Bombay Rayon group commences export of fabrics. 2001 Launch of the Garment Division. 2005 Bombay Rayon Groups business is consolidated into BRFL. 2005 The company makes a successful IPO with a listing on all the stock exchanges in India. 2005 BRFL acquires DPJ Clothing UK, supplying to high street retailers in UK. 2005 Set up of 7 garment manufacturing facilities in Bangalore with around 7000 machines. 2007 BRFL acquires "Leela Scottish Lace", one of the largest garment manufacturing units set up in India, making BRFL one of the largest apparel groups in India. 2007 BRFL acquires "LNJ Apparel" a 1000 machine specialized bottoms plant. 2007 BRFL marks the commencement of the mega USD 250 million Textile and Garment Project under a special MOU signed with the government of Maharashtra. 2007 BRFL establishes a fully integrated textile mill in Doddaballapur, Bengaluru with a capacity to process 1 lakh meters/day. 2008 BRFL acquires the iconic brand “Guru”. 2009 BRFL is sanctioned the project under the Scheme for Integrated Textile Park (SITP) by the Govt of India. 2010 BRFL establishes the world’s largest fabric processing capacity of 5 lakh meters/day at Tarapore. 2010 BRFL acquires STI India Ltd, a world class producer of 100% cotton yarn. The man was Mr. JD Agrawal. His enthusiasm for quality fabrics inspired him to bring innovations to Bombay Rayon Fashions Limited since its inception in 1986. The company has grown at an overwhelming pace, keeping up with the needs of the customers as well as stakeholders. With its entry into retail market and the global fashion export industry, Bombay Rayon Fashions Limited (or BRFL) has become the fastest growing company in the Indian Textile Industry. The culmination of a dream, this is just the beginning of a revolution in the Indian Fashion Market. 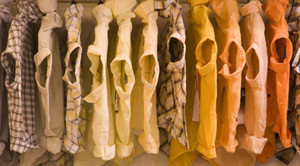 “At Bombay Rayon, we continue to lead the field by focusing on what we know best. Creating exclusive top-of-the-line garments and suitings & shirtings for those who love the very concept of dressing up. From our shirtings to our fabrics, to our formal wear and exclusive collections, when it comes to corporate performance and refreshing lifestyle, Bombay Rayon Fashions Limited has always been a leader. Since 1986, Bombay Rayon Fashions Limited has been the name India relies on for clothing that fits the active Indian spirit. Bombay Rayon Fashions Limited provides apparels that are inspired by the five basic elements that make-up our atmosphere and the garments do perform. Exclusive construction details and only the finest fabrics ensure our patrons will be equipped to take on whatever challenge comes their way. I have always wanted our customers to head out in the adventure of their lives in the brand that has made living and lifestyle great for nearly two decades… Bombay Rayon. I still remember the time when both my sons stepped onto the corridors of our manufacturing unit. The overwhelming sense of achievement that I witnessed on their faces then, continues to inspire me in walking that extra mile… just that now, it’s no more an ‘I’. What started as a small business enterprise in the mid eighties is now a powerhouse textile giant catering to the needs of people from across global parameters. Bombay Rayon Fashions Limited has not only instilled in its employees a never-ending drive to reach-out, but has also equipped their families with a sense of pride and achievement; such that no other can parallel. This in essence is our real accomplishment and Bombay Rayon Fashions Limited shall always live up to the intrinsic demands and expectations of India and the world. Bombay Rayon’s product designs are all about being at ease in comfortable clothing with effortless style so our clientele never have to worry about what they’re wearing. At work or at your leisure, with the Bombay Rayon Fashions Limited tag, our patrons can never cease to enjoy the simple comfort of just being themselves. That’s a promise, which over time has transformed into a cherished legacy and a trusted assurance matched by none. Mr. JD Agrawal is the key person behind the establishment and growth of the Bombay Rayon Group. He founded the Company in the year 1986 and as a Chairman, has led the Company to greater heights of success with a strategic approach. He has brought innovations in the business. Be it the establishment of the Bombay Rayon brand of fabrics in the local retail market or a unique trend of bi-annual presentation of the Company’s collections to the trade. Under his guidance, the Company has gained international recognition. He holds a Bachelor degree in Commerce. Mr Aman Agrawal has over 26 (twenty-six) years of experience in the textile industry and has strategically directed the business to newer heights. He has always encouraged innovation, like newer approach to projects, implementation of new technologies and IT system integrations. His challenging and competitive approach has led to establishment of top class manufacturing facilities in weaving, fabric processing, garmenting and value addition and today with the versatility of producing multi fiber textile products regardless of value and volume constraints. His inspiring leadership has brought competitive costs and consistent quality of Company’s products. The Company’s group reputation of being capable of delivering of any sort of complicated yarn dyed fabric is mainly due to his efforts of building in-house expertise of transforming complex designs from drawing board to shop floor. 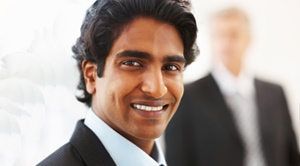 He holds a Bachelor degree in Commerce and Masters in Business Administration from Australia. Mr. Prashant Agrawal has over 24 (Twenty-four) years of experience in the textile industry and has been phenomenal in the emergence of the Company as a global brand. Under his leadership, the Company’s fabric exports have grown manifold with complete oversees marketing from initiation to delivery. He has strategically led the Company’s manufacturing capabilities to a globally renowned label in the international fashion markets. His futurist vision has transformed the Company from a fabrics Company to a fully integrated apparel Company, known for their reliable fabric supply to top labels globally. He holds a Bachelor degree in Chemical and Masters in Chemical Engineering & Petroleum Refining from USA. Mr. Naseer Ahmed was the Minister of State for small-scale industries in the State of Karnataka during October 1990 to November 1992. After completing his studies he entered into politics and held various positions in the Congress Party. He has promoted four companies in the textile sector and his group has successfully established a niche in the export market by supplying to top international brands. He holds a Bachelor Degree in Commerce. Mr. A R Mundra has over 37 (thirty-seven) years of experience in the field of finance, commercial and management. His core strength lies in fund procurement, internal controls, organizational systems and strategic planning. He has worked with organizations like Bhansali Engineering Polymers Limited (President), Welspun group of companies (Senior VP-Finance, CS and Chief Executive-Commercial). In the initial years of career, he has worked with Indian Rayon and Industries Limited, Birla group of companies and Gujarat Ambuja Cement Limited in various capacities. He is an associate member of the Institute of Chartered Accountants of India and the Institute of Company Secretaries of India. He also holds membership of the International Institute of Business Management, London. Mr. Mundra has also been awarded ‘Samaj Shri’ for excellence in management by Indian Institute of Management Executives, Mumbai in 1994. Mr. Suresh Vishwasrao is a retired Bank Officer. He has more than 45 (forty five) years of professional experience in the areas of banking regulations, FEMA, loan syndication(s), capital market activities etc. He holds Masters in Arts and also Diploma in Risk Management from New York University. He is also a member of Certified Associated Indian Institute of Bankers. Mr. M.M. Agrawal is a retired Deputy Managing Director of Axis Bank. He has more than 42 (forty two) years of experience in the field of banking, financial management, financial services, private equity funding, corporate governance and corporate social responsibilities. He holds a Bachelor degree in Engineering and is also a member of Certified Associated Indian Institute of Bankers. Mr. A. Arumugham has over 36 (thirty six) years of experience as a Practicing Chartered Accountants. He has been associated with various large corporate houses providing advises in the field of fund mobilization, mergers, takeovers, accounting, legal compliances etc. He is an associate member of the Institute of Chartered Accountants of India. Ms. Prachi has overall 16 (sixteen) of experience in Secretarial & Legal Matters. She possessed the bachelor’s degree in law and is also the Associate Member of Institute of Company Secretaries of India (ICSI). She has worked with the Company for the period of more than 9 years. She was in charge of complete Secretarial and Legal department and was handling relationship with the Bankers & Investors. She was the core team member for raising funds by way of equity & debt by the Company. Additionally she has got an experience of handling litigations in her previous employment. Mr. John Mathew has total 28 years of experience in corporate and structured finance, private equity, project finance and credit appraisal, financial modeling, new product development, high yielding cross border LBOs, business development & origination, debt syndication, financial restructuring, infrastructure projects, legal and contractual documentation. At present he is working as an Advisor of Strugence Capital Advisors LLP. 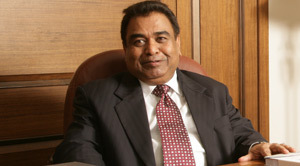 His past employment includes, Managing Director & CEO of “CFS Limited”, the Investment Banking arm and 100% subsidiary of Central Bank of India & Chief General Manager & Country Head - Corporate Banking, Export-Import Bank of India, managing a portfolio of over US$ 3 billion with over 300 active corporate client relationships. and also hold Directorship in Bombay Rayon Fashions Limited for the period of 2 years since 19th December, 2006 to 28th October, 2009 as a Nominee of Export – Import Bank of India. Mr. Raja has had a career of 37 years with State Bank of India, before retiring as Deputy Managing Director. During his career in SBI, he held several key positions such as Deputy Managing Director & Corporate Development Officer of the Bank in charge of Cadre Management, Recruitment & Promotion, Training & Development etc. Prior to that, he was Chief General Manager of the Bank’s Mumbai Circle with a network of over 1000 branches and a balance sheet size of over INR 1,00,000 crores. Other key positions held by him were General Manager, Retail Network in Delhi, Deputy General Manager (Credit) in the Bank’s International Division, Asst. General Manager in the Bank’s Industrial Finance Branch, Andheri and also Asst. General Manager of Overseas Branch in Mumbai. He also had Overseas Exposure during his 4 year stint at the Bank’s Singapore Branch where he handled, Credit & Internal Audit. After his retirement from SBI, he took over as Chief Executive Officer of the Banking Codes and Standards Board of India (BCSBI), a banking consumer protection body set up by RBI. He was with BCSBI for about 4 years. Mr. Raja is an MSC in Physics from Institute of Science & CA IIB from Indian Institute of Bankers. The primary objective of the Audit Committee is to monitor and provide effective supervision of the management’s financial reporting process with a view to ensure accurate, timely and proper disclosures and transparency, integrity and quality of financial reporting. The Committee oversees the deployment of funds and the work carried out by management, statutory auditors and internal auditors, in relation to the financial reporting process and the safeguards employed by them. The Committee recommends the appointment and removal of statutory auditors, internal auditors and cost auditors, fixation of their audit fees and monitors their independence and effectiveness of audit process. The Committee also evaluates the risk management systems and vigil mechanism. The Nomination & Remuneration Committee deals with all elements of appointment, remuneration, service contracts and other terms and conditions of service of the directors, key managerial personnel and senior management. The Committee formulates the criteria for determining the qualifications, experience, positive attributes and independence of director and recommends to the Board a policy relating to the remuneration of the directors, key managerial personnel and senior management. The Committee ensures that remuneration policy of the Company is primarily based on the criteria like performance of the Company, potential, experience and performance of individual personnel and external environment. 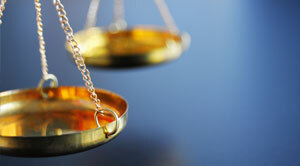 The Committee also defines the criteria for evaluation of the Board and Board’s diversity. ⇒ Strive for economic development that positively impacts the society at large with minimal resource footprints. ⇒ Be responsible for the Company’s actions and encourage a positive impact through its activities on the environment, communities and stakeholders. The Committee will be overseeing the activities / functioning relating to identifying the areas of CSR activities, programs, execution of initiatives, reporting the progress and making appropriate disclosures as per the policy. The Shareholders’ Relationship Committee was constituted to specifically look into the matters relating to investors’ grievances such as transfer, transmission, split and consolidation of investors’ holding, replacement of lost / mutilated / stolen share certificates, dematerialization of shares, non-receipt of dividend / notices / annual reports and change of addresses, among others. The main object of the Committee is to strengthen investor relations. The Committee also evaluates the performance and service standards of the Registrar and Share Transfer Agent of the Company and also provides continuous guidance to improve the service levels for the investors. Since its inception almost 25 years ago, BRFL has grown manifold. We dedicate and share our journey to success with the people within our organization. With a hardworking work group of over 38,000 employees, we have been blessed with a fabulous team of leaders to initiate healthy work cultures, competitive standards and consistent quality. We have always maintained a functionally organized infrastructure keeping our employee satisfaction in mind. And in return, our people have profusely contributed towards the growth of BRFL. The Company was originally incorporated as Bombay Retail Private Limited on 23rd February 2007 and the same was changed to Bombay Rayon Holdings Limited w.e.f 5th June 2009. The Company was incorporated for the purpose of carrying on the business of textiles. The Company is a wholly owned subsidiary company of Bombay Rayon Fashions Limited. In furtherance of its business, the Company has formed two wholly owned subsidiary companies i.e. BRFL Europe B.V. & BRFL Italia S.R.L. The Company was incorporated with a purpose of carrying the textiles business in Italy. 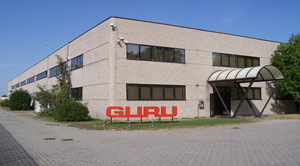 The Company’s registered office is located at Via Mercali 8/a - Parma (Italy). The Company is a wholly owned subsidiary of Bombay Rayon Holdings Limited. The Company owns the popular 'GURU' brand and is into the business of retailing of readymade garments as well as other accessories in Europe. The Company was incorporated on 5th September 2005 for the purpose of carrying the textiles business for catering to the needs of people in European Union countries and also to operate as a marketing wing. The Company is located at Veluwezoom, 5 Dome 2.34 (1327AA) Almere, Netherlands and it’s a wholly owned subsidiary company of Bombay Rayon Holdings Limited. The Company was incorporated on 8th September 2006 having its registered office located at 17-19, Church Road, Northfield, Birmingham, B31 2JZ. The Company is engaged in the business of wholesale marketing and distribution of clothing products. Bombay Rayon Fashions Limited holds 70% of share capital of the Company. This subsidiary is assisting in getting many mid-size retailers of Europe by providing the services either by direct import or by import & delivery basis. The Company was incorporated on 7th August 1984 and is a manufacturer of cotton yarn, viscose, BCI cotton yarn and knitted S/J fabric. The registered office of the Company is located at Rau-Pithampur Link Road, Tehsil Mhow, Indore (MP). Bombay Rayon Fashions Limited holds 75% of the share capital of the Company The Company operates on job work basis for Bombay Rayon Fashions Limited for manufacturing of yarn and knitted fabric. The Company was incorporated on 11th November 2010 at Dhaka (Bangladesh) as a 100% subsidiary company of Bombay Rayon Fashions Limited. The registered office of the Company is located at Siaam Tower, Level – 12, Plot – 5, Sector – 3, Uttara, Dhaka -1230 (Bangladesh). The Company has not taken up any operations yet.